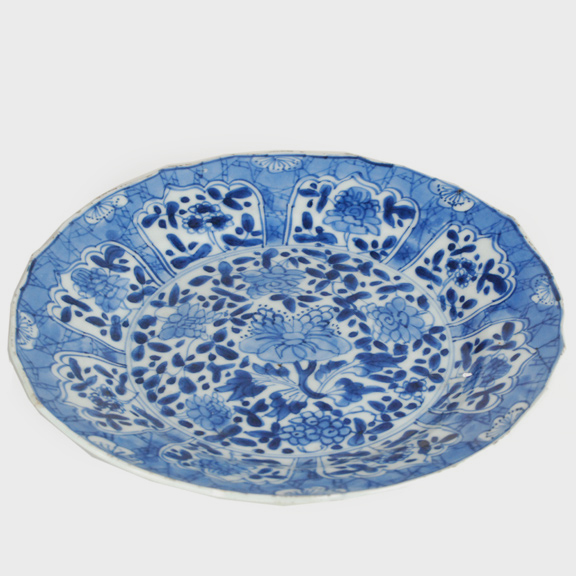 Beautifully rendered with expressive brushwork, the painted decoration on this monumental bowl demonstrates the exceptional artistry of Chinese blue-and-white porcelain. 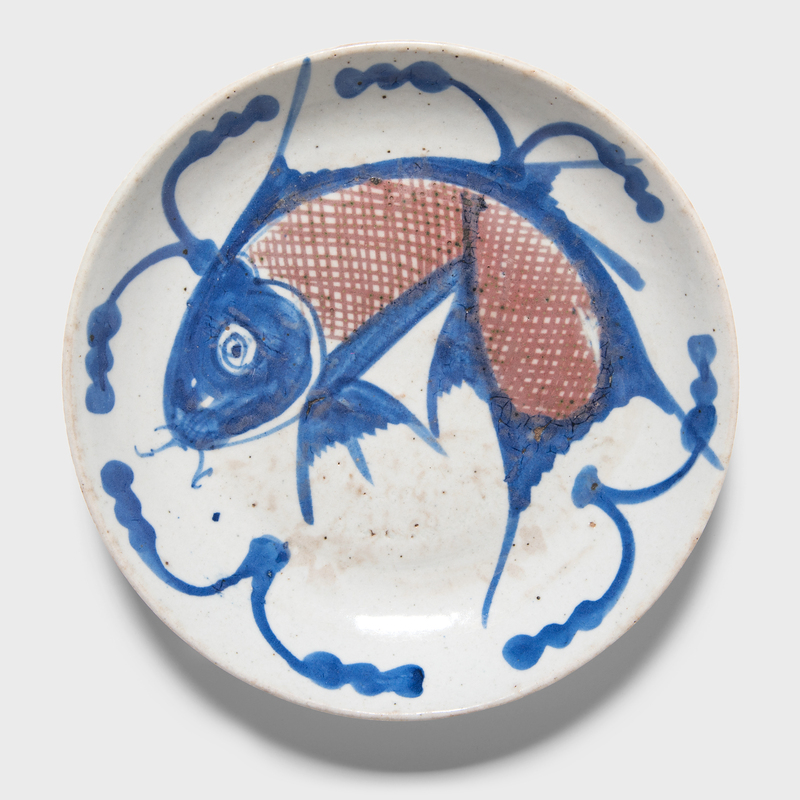 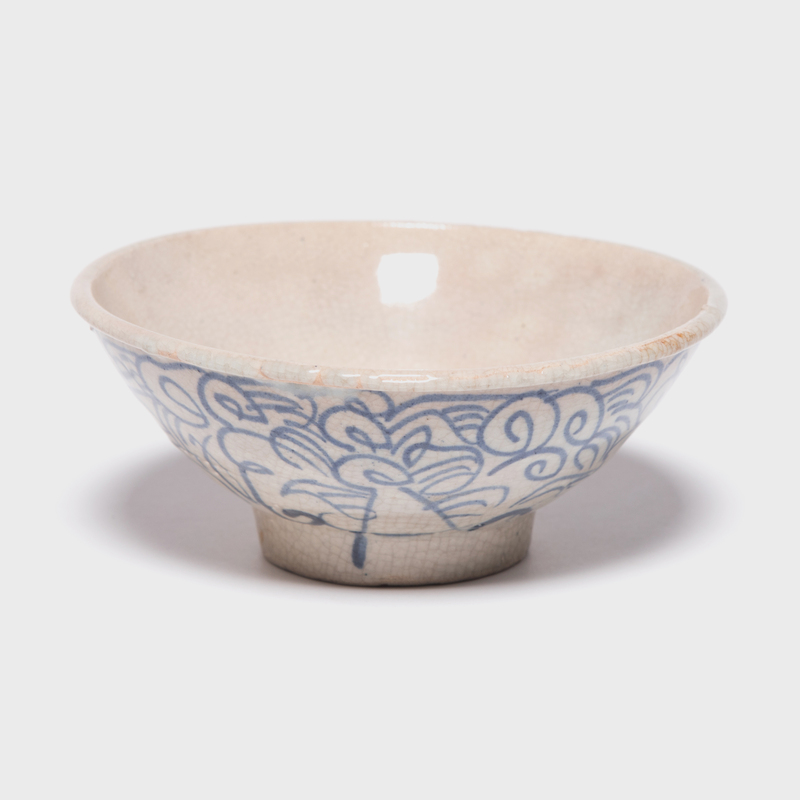 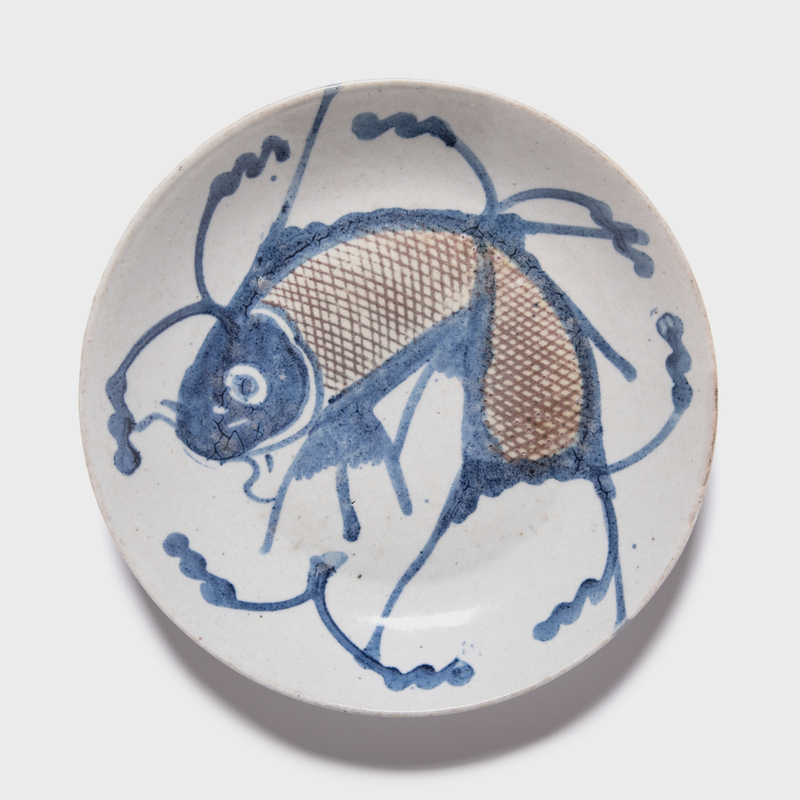 Cast with a cobalt glaze, the bowl is hand-painted with flora and fauna of the sea, offering blessings of wealth, abundance, and the contented harmony of a fish in water. 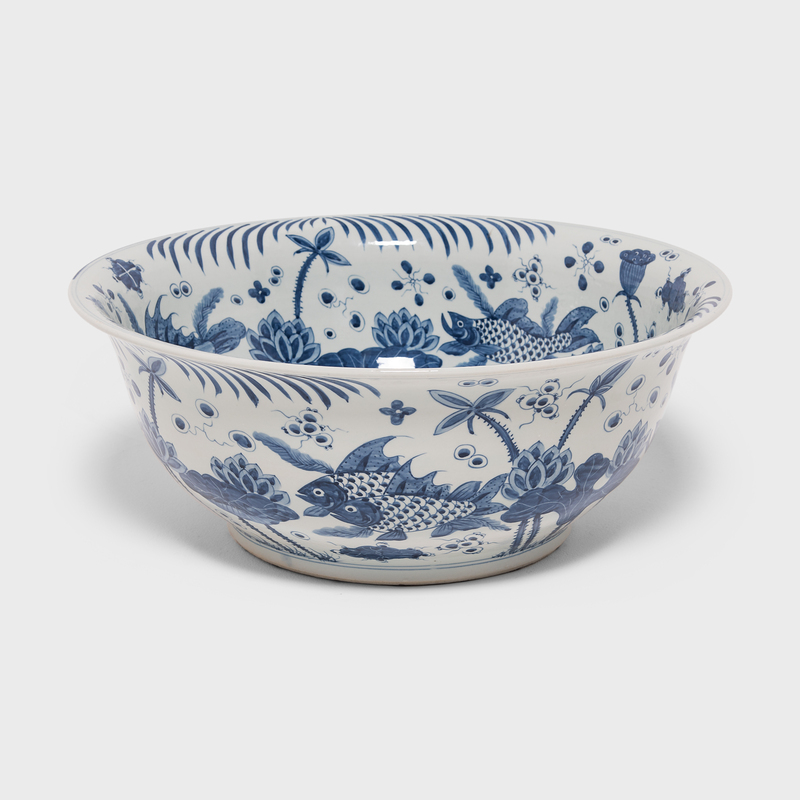 Decorated in a brilliant shade of blue against a field of crisp white, this grand bowl makes for a fantastic centerpiece or serving bowl.